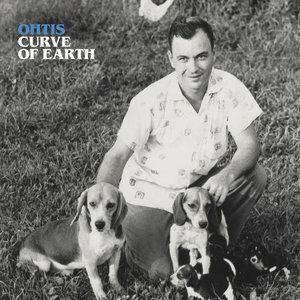 Curve of Earth, Ohtis' debut album, was a long time coming. Singer-songwriter Sam Swinson and Adam Pressley first formed the band in high school and recruited a third member, Nate Hahn, to fill out their sound. The group got to the point where they were a well-known local act in their hometown of Normal, Illinois, and the surrounding area, and even did some touring around the U.S. But Swinson got addicted to heroin, the band fell apart, and he embarked on a long, difficult journey to sobriety. The songs on Curve of Earth reflect that journey, as Swinson continued to write through years of rehab and relapses. He got back in touch with Pressley and Hahn as part of his recovery in a 12-step program, and the band reunited to record the album. Fortunately, the record itself is not quite as harrowing as Swinson's full story, although it definitely has a darkness to it. But Ohtis as a band has a kind of anything goes country-folk approach, which makes for an unusual musical variety in the songs that makes it an intriguing listening experience. The laconic, distressing "Pervert Blood" opens the album with Swinson's drawling, not quite in tune voice singing, "Grandpa threw a bag of puppies in a burning can / I might've let 'em starve, choices like that are locally left to another kind of man." Musically, Swinson is accompanied by softly strummed acoustic guitar and brushed snare drum hits, with occasional pedal steel guitar interludes and eventual quiet background organ chords. If the whole album was like this song, it would be exactly as harrowing as Swinson's story sounds. But the second song "Runnin" has a little more energy to it. Although the track isn't exactly fast, Swinson sounds fully awake while singing here, and the addition of a kick drum to the snare hits gives the song some motion. Lyrically the song covers different events of peril and redemption in Swinson's life, but the chorus, a singsongy, extended "I-I-I will run with you / Run in the unknown night", is catchy and singable. The third track, "Little Sister", is a straight folk song, anchored by finger-picked acoustic guitar but filled out with violin and cello. It's still quiet and slow, but the mood is markedly sweeter. This is how the album goes. Every time you think you have Ohtis pegged, they throw another musical curveball at the listener. "Rehab" has a bouncy, slightly tropical feel to it, with shakers, bright pedal steel, active bass line, and simple piano chords. Bongos even make an appearance in the song's bridge, right before the song stops dead for a slow country breakdown. All the time, Swinson is recounting the experiences that led him to rehab and his drug-addled thinking at the time in a matter of fact tone. The band follows this with "Black Blood", a joyful pop-rock song with loose-limbed drum fills and crazy piano arpeggios. Stylistically this is probably a good call because lyrically it seems to be about one of Swinson's lowest points, when he ended up in the hospital, made peace with himself, and was ready to die. The album wraps up with a trio of interesting songs. "Diggin" is a country ballad that uses a theremin to add a wobbling musical strangeness to what is essentially a simple song about self-loathing. "Junkie Heaven" combines a hymn-like presentation with small trappings of New Orleans jazz and country balladry. Piano, pedal steel guitar, and a filtered, faraway-sounding trombone (or possibly French horn) all flit in and out as Swinson lyrically reflects on his time addicted to heroin and what it did to people around him. The record concludes with "Serenity Prayer", a short, happy-sounding folk song where Swinson comes to grips with his addiction tendencies and notes that he's going to have to deal with it for the rest of his life. Curve of Earth is not an easy listen, but the musicality keeps it from being a straight downer of a record. The songs here are uniformly well written and interesting even as the exorcism of addiction demons is at times oppressive. Once you know that Swinson has gone through a 12-step program (a specifically Christian approach to addiction recovery), the references to Jesus and God scattered throughout the album become very noticeable. It's fascinating to hear how the spiritual language of recovery permeates the lyrics. If country-folk and redemption stories are your jam, Ohtis should be a band that you dig. I wasn't necessarily looking for either of those when I started listening to Curve of Earth, but Swinson's raw honesty and the band's musical creativity won me over.